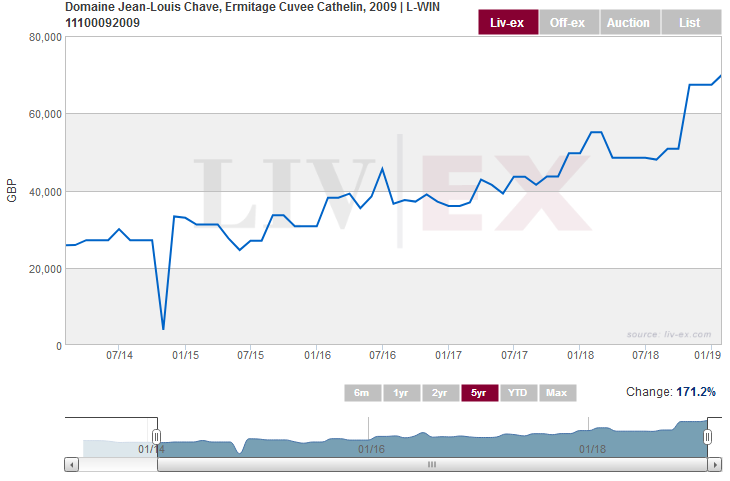 Rarity can be one of the biggest driving forces in the wine market and from this perspective, Chave’s Cuvee Cathelin fits the bill. Only produced in outstanding vintages, this single vineyard Northern Rhone Hermitage could be bought for around £25,800 in January 2014. And its financial growth has been fairly linear ever since. The first year’s hold would have delivered you 21% growth taking its value to £31,200 and by the end of year two growth against purchase price would have stood at an impressive 48%. Prices in the third year dipped back down, which isn’t out of the ordinary for fine wine but, as scarcity began to take effect, it recovered and by the end of the fourth year reached a value of £55,092 – a growth of 114%. 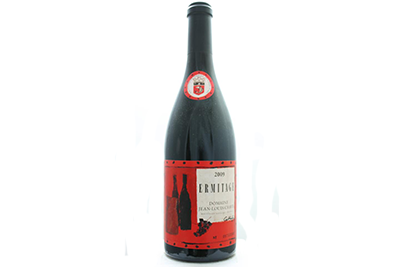 Today a case of this wine will set you back around £70,000, if you can find it, which would be a financial growth of 171%, or 34.24% CAGR.